A couple of years ago blog comment backlinks became one of the most popular ways to build high PR links quickly and effectively. it's an easy and cheap way to build high-quality backlinks. 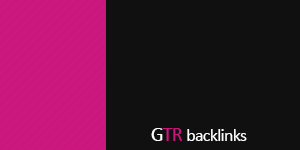 Now most of people using these backlinks for as tier two backlinks, but still it good for your money website too since we have high-quality blog comments backlinks . Blog/image/other comments backlinks Blog/image/other comments backlinks 0 stars, based on 0 reviews $0.002 5 November! SEOeStore In stock! Order now!